For those of you that experience regular bouts of indigestion or heartburn, I have an excellent and dead-easy home remedy for you: slippery elm lozenges. Earlier in the week I posted about pregnancy heartburn, what causes it, how common it is and my top tips for reducing symptoms. These lozenges were mentioned, as they can be used safely throughout pregnancy. It should also be noted that they are great for anyone, i.e. non-pregnant folk, who experience reflux. Firstly, let me give you a quick run down on slippery elm (Ulmus rubra), an all-round hero of herbal medicine and truly excellent remedy to have on hand in your pantry. The bark of the slippery elm tree had been used for centuries in herbal medicine, with remedies requiring both topical application (as a healing balm for wounds) and oral ingestion (for sore throats, digestive upsets, etc). Slippery elm is taken as a powder and combined with water or another liquid (sometimes also honey and/or spices) to form a gel-like drink. If you haven’t had it before, the mucilaginous texture of slippery elm can be a little off-putting, but mixed well into fluid it’s actually very palatable, if a little ‘earthy’ tasting. This mucilage is one of the ways in which slippery elm works its magic – coating and soothing mucous membranes (found in the digestive, respiratory and reproductive tracts) on its transit through the body. For heartburn, this is ideal. The slippery elm creates a protective coating for your oesophagus, which stops the burning sensation associated with gastric reflux. It also soothes inflammation, which is particularly important for chronic conditions. A spoonful of slippery elm mixed well into a glass of water, between meals, is the simplest way to take it and highly effective to boot. However, this isn’t always convenient, particularly during work hours, when travelling, etc; and some folks simply don’t like downing a glass of earthy elixir. No problem. Take 1/2 – 1 cup of slippery elm powder and combine with enough honey (start with 1 spoonful at a time and work your way up) to make a firm, but not dry, dough. If you like, and you have some on hand, you can add a couple of drops of peppermint, lemon or orange essential oil – these will add a subtle flavour and also aid digestion. Lightly dust a cutting board with additional slippery elm and roll out your dough like a snake (two ‘snakes’ may be easier, depending on how much dough you’ve made). Cut into small sections – roughly fingernail size – and roll into balls. Flatten these onto a baking tray and then pop into the oven for around an hour. 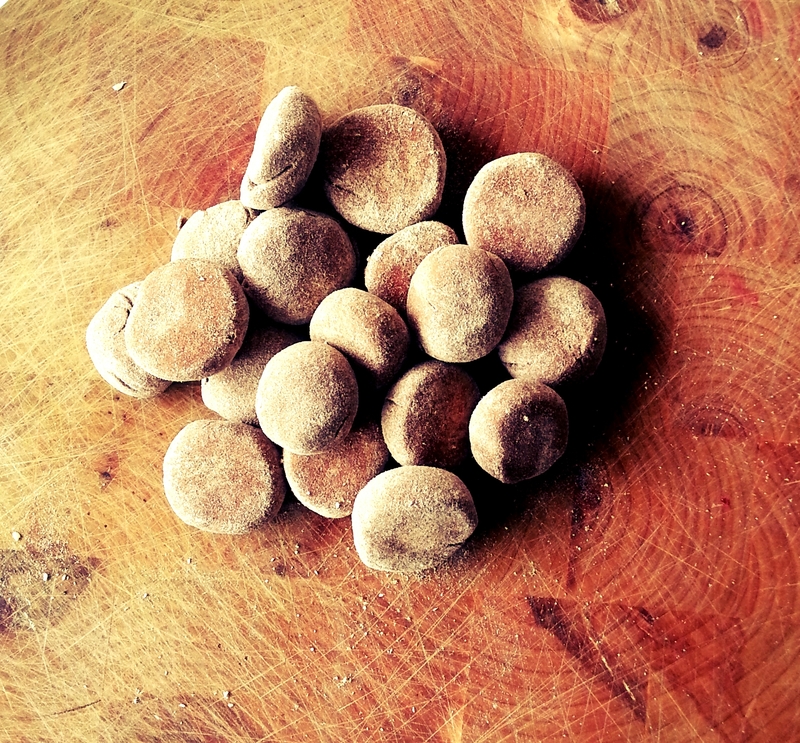 Once cooled, pop your dusty little lozenges into an airtight container and keep in the cupboard (they’ll last for months). These can be sucked (or, if you’re like me, chewed) whenever you experience heartburn. Start with one, but you can have up to 3 or 4 if needed. Symptom relief is usually very quick, often within minutes, but may be longer. Ok, I admit they don’t look so flash… BUT they do the trick! Honestly. Because slippery elm is a fibre (it’s also great for sluggish digestion BTW) ensure that you drink plenty of water whenever you take a dose. Aim for at least a glass with every 1 teaspoon / 2 lozenges. If you don’t, then things can tend to… errrm… plug up. Again because it’s a fibre, slippery elm should not be taken at the same time as medications or mineral supplements, as it may ‘bind’ with the actives and inhibit the therapeutic action. Ideally, allow a gap of 1/2 – 1 hour before taking slippery elm. I cannot tell you how many times women and non-herbal healthcare professionals have asked me whether slippery elm is really safe in pregnancy. I am here to tell you that, almost without exception, it is indeed safe. You may read elsewhere on the internet that slippery elm is cautioned, or even contraindicated, in pregnancy. This is based on its historical use as an abortifacient… when it was inserted vaginally. Because of this, the traditional caution is still mentioned in some texts and many chat forums. However, I want to reassure you that no harm is to be expected when using slippery elm the way I have described above. If you have further questions, I’d suggest talking to your health practitioner, who is best placed to give you individualised advice. Have you tried slippery elm before? How did you find the flavour and, perhaps more importantly, effect on your health? This is a fantastic post from one of my wonderful naturopath friends. 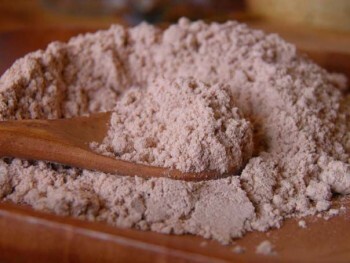 Slippery elm is a wonder herb for heart burn, IBS, IBD and chronic constipation. It’s also really great for feed the good bacteria in your bowel. I love Kathleen’s method for dosing it, as it takes a brave soul to drink it in cold water! I recommend making a tea from it, with a spoonful of honey, but this is my new favourite way to take it. This is great! i suffer heartburn all the time. Noted about the um…binding properties lol.